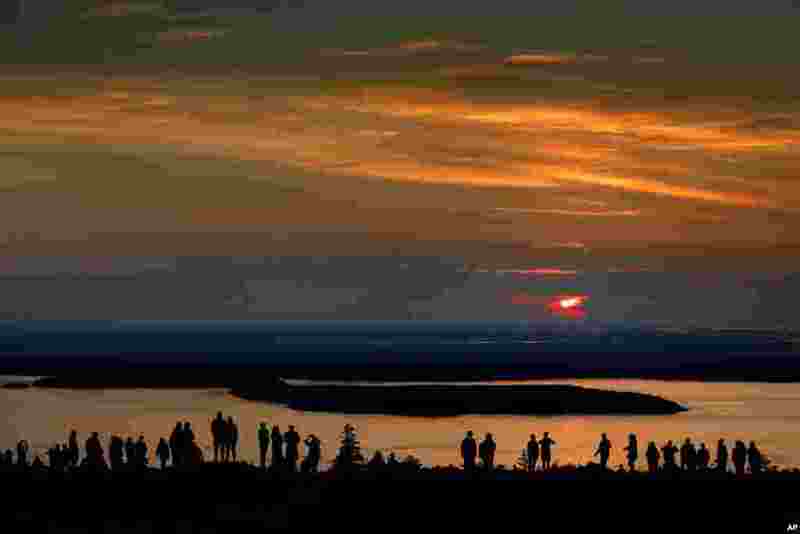 ١ A crowd gathers near the summit of Cadillac Mountain in Acadia National Park to be among the first in the continental United States to see the sunrise, near Bar Harbor, Maine. 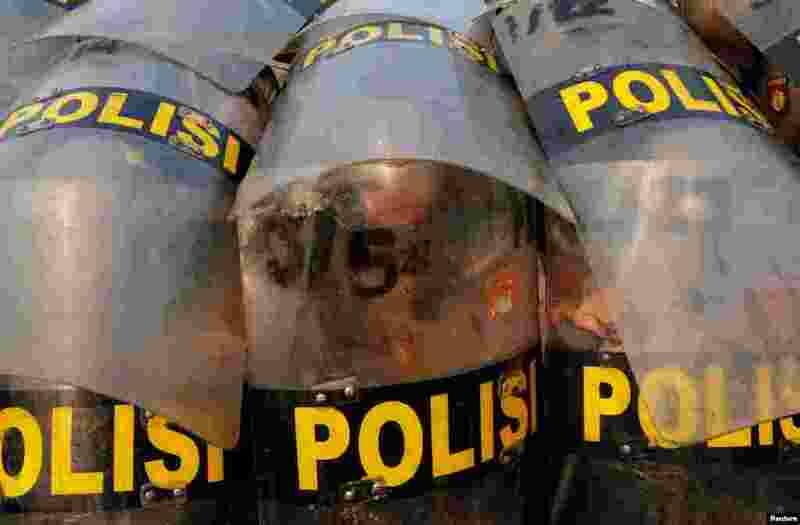 ٢ Policemen use shields during an anti-terror drill ahead of the upcoming Asian Games in Jakarta, Indonesia. 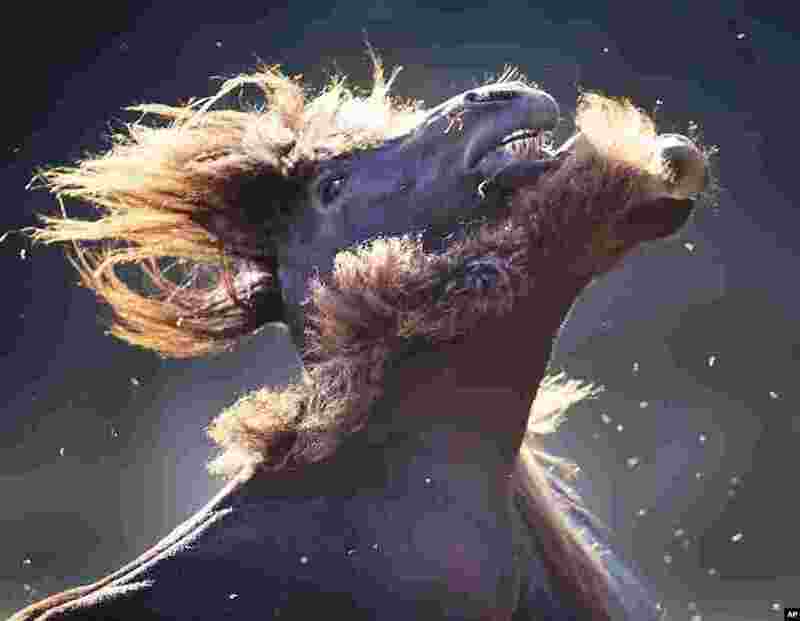 ٣ A horse surrounded by flies plays on a dry meadow in Wehrheim, near Frankfurt, Germany. 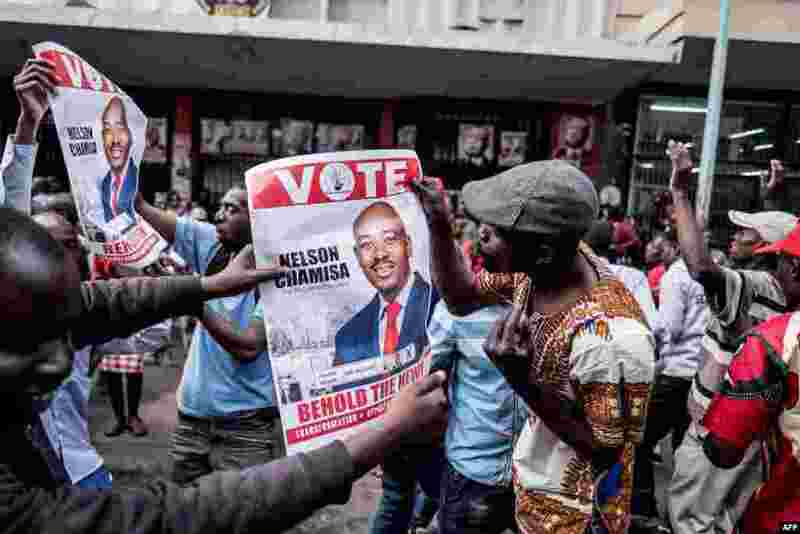 ٤ Supporters of Zimbabwe's opposition MDC Alliance party leader Nelson Chamisa hold his campaign posters as they gather outside the MDC Alliance's headquarters in Harare. The government warned election candidates they will face prosecution and jail for prematurely announcing results of landmark polls after the MDC Alliance party said it had won.